Hi everyone, I hope you are well today. In this lesson, I’m going to teach you different ways of thanking someone, something that I believe you do everyday. Obviously, this is the most common way to show your appreciation and gratitude. 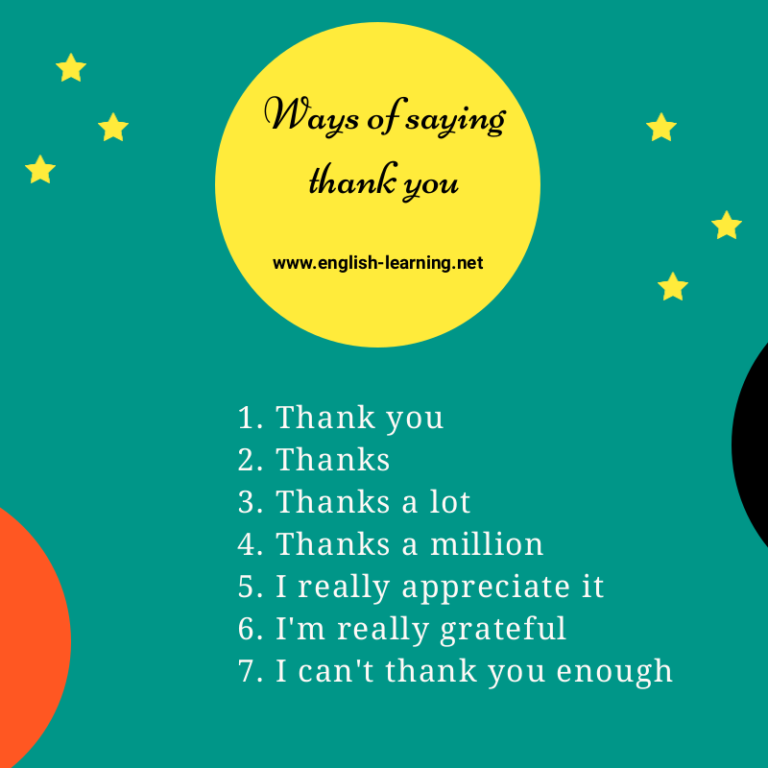 A short version of “thank you”, say this to people you know well, or in informal situations, for example to your friends, co-workers,etc. This expression shows people that you really appreciate what they have done for you. This is an interesting way to emphasize on the importance and significance of the things people did for you. Hey, buddy, thank you for lending me money. I really appreciate it. “Grateful” basically means “ thankful”, “I’m really grateful” is a cool alternative to the classic, boring “thank you” you often say. 8. I can’t thank you enough. Use this when you think saying “thank you” is not enough, or when someone did something really special for you and no words can express your appreciation.